Yau Hee received his B.Eng (Hons I) degree and PhD degree from the University of Canterbury, New Zealand, as well as a Professional Certificate in Learning & Teaching (Higher Education) from Swinburne University of Technology, Australia. Yau Hee brings with him industrial and academic experience as: assistant professor at Nazarbayev University, lecturer then promoted to senior lecturer with Swinburne University of Technology (Sarawak Campus), Malaysia, research associate with the University of Canterbury, New Zealand and RF/Electrical Design Engineer in the consumer electronics industry in Singapore (with the Institute for Infocomm Research, A*STAR, and Philips Car Systems). He is a Senior Member of the IEEE and a Member of the IET, and a Chartered Engineer registered with the Engineering Council, UK. From 2005 to 2008, he served as an elected member of the IET Council and Technical & Professional Services Board (now Knowledge Management Board), and the IET New Zealand Forum. Currently he is an International Professional Registration Advisor (IPRA) with the IET, guiding and mentoring potential candidates on professional registration. He is also a Senior Fellow of the Higher Education Academy, UK. Yau Hee has industrial experience in hardware designs for radio receivers and RFID systems for consumer electronics. His PhD was in wireless digital communications in the area of signal detection and estimation. Besides communications, he is interested in signal and image processing, as well as industrial electronics and sensing technology. The projects that he has successfully completed include channel estimation for MIMO communication systems, interference cancellation for two-way mobile radio, and tracking of objects using wireless signals, with research funding from New Zealand industry, Malaysia and Kazakhstan governments. He has supervised two doctoral students to completion as well as close to twenty undergraduate capstone (honours) projects. Besides technical areas, he has also engaged himself in engineering education research such as student-centred teaching and learning, research-integrated teaching and accreditation-related issues. Talgat Manglayev, Optimum Power Allocation for Non-orthogonal Multiple Access using CUDA, 2015 - ongoing (Nazarbayev University). Ulykbek Shambulov, Multi-sector Code for Secured Cancellable Fingerprint Templates, 2016 - ongoing (Nazarbayev University). Nazerke Rakhymbayeva, Passive Detection and Tracking of Objects using Wireless Signals, 2016 - ongoing (Nazarbayev University). 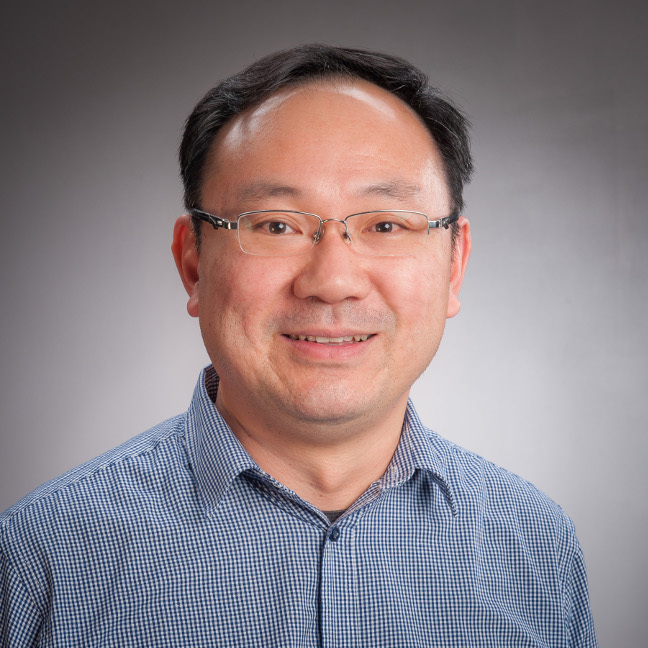 Dr Wei Jing Wong, Cancellable Fingerprint Authentication Schemes for Bio-Crypto Applications, graduated 2015 (Swinburne University of Technology). Dr Nguan Soon Chong, Omnidirectional Vision Sensors, graduated 2014 (Swinburne University of Technology). Note: I am always looking for motivated Honours, Masters and PhD students. If you are interested in any of the above areas, please email me at yauhee.kho@vuw.ac.nz for further discussions. Y.H. Kho, "Radio Frequency Sensing for Assistive Monitoring", in Sensors for Everyday Life, pp 241-258, Springer International Publishing, 2017. T. Manglayev, R.C.Kizilirmak and Y.H. Kho, "Comparison of Parallel and Successive Interference Cancellation for Non-Orthogonal Multiple Access", International Conference on Computing and Network Communications, Aug 2018, 5 pages. T. Manglayev, R.C.Kizilirmak, Y.H. Kho, N. Bazhayev and I. Lebedev, "NOMA with imperfect SIC implementation", IEEE EUROCON 2017-17th International Conference on Smart Technologies, July 2017, pp.22-25. T. Manglayev, R.C.Kizilirmak and Y.H. Kho, "Optimum power allocation for non-orthogonal multiple access (NOMA)", IEEE International Conference on Application of Information and Communication Technologies (AICT), Oct 2016, 4 pages. A. Mubarakov, Y. Zhengis and Y.H. Kho, "Assistive healthcare home monitoring system for elderly people", IEEE International Conference on Application of Information and Communication Technologies (AICT), Oct 2016, 5 pages. Y.H. Kho, N. Mir-Nasiri, and A. Vakhguelt, “Design of an ECUK Framework for Conducing Capstone Projects,” IEEE Global Engineering Education Conference, Apr. 2016, pp 719-723. Y.H. Kho, “Attracting Female Engineering Students: Insights from Malaysia and Kazakhstan,” IEEE Global Engineering Education Conference, Apr. 2016, pp 724-728. C. Kizilirmak and Y.H. Kho, “On the Brightness Control of ACO-OFDM based VLC Systems,” IEEE International Conference on Sensing Technology, Dec. 2015, pp 215-218. J. Wong, M.L.D. Wong, Y.H.Kho and A.B.J. Teoh, “Minutiae Set to Bit-String Conversion using Multi-scale Bag-of-Words Paradigm,” IEEE Workshop on Information Forensics and Security, Dec. 2014, 6 pages. Kaskina, D., Bradshaw, R.A., James, A., Kho, Y.H. and Kabiyeva, M., “Developing high resolution remote sensing technology into an advanced knowledge management system to monitor and assess water resources,” IEEE Application of Information and Communication Technologies, Oct. 2014, 6 pages. Y.H. Kho, A. E. Abdulla and J. Chan, “A Vision-based Autonomous Vehicle Tracking Robot Platform,” IEEE Symposium on Industrial Electronics and Applications, Sept. 2014, pp. 173-176. Bradshaw RA, James A, Kho Y.H, Kaskina D, Mashtayeva S, Alipbeki O, Maksut Z. “Integrating high resolution remote sensing technology into an advanced water resources knowledge management system,” 11th Kovacs Colloquium on Hydrological Sciences and Water Security: Past, Present and Future, June, 2014. S. Chong, M.L.D. Wong and Y.H. Kho, “Vertical Line-based Descriptor for Omnidirectional View Image,” IEEE International Conference on Electronics, Information and Communication, Jan. 2014, 4 pages. S. Chong, M.L.D. Wong and Y.H. Kho, “A Parallel Root-finding Method for Omnidirectional Image Unwrapping,” IEEE Visual Communications and Image Processing Conference, Nov. 2013, 6 pages. Y.H. Kho and M.L.D. Wong, “Teaching Information Theory using a Wireless Transceiver Platform,” IEEE International Conference on Teaching, Assessment, and Learning for Engineering, Aug. 2012, 4 pages. S. Chong, M.L.D. Wong and Y.H. Kho, “Closed Form Spherical Omnidirectional Image Unwrapping,” IET Image Processing Conference, July 2012, 5 pages. Y.H. Kho and D.P. Taylor, "A Reduced Complexity Kalman-like Algorithm for Channel Estimation and Equalization", 2nd IET International Conference on Wireless, Mobile and Multimedia Networks, pp. 235–238, Oct. 2008. Y.H. Kho and D.P. Taylor, "Reduced Complexity MIMO Channel Estimation and Equalization Using A Polynomial-Predictor Based Vector GLMS Algorithm," IEEE International Symposium on Personal, Indoor and Mobile Radio Communications, Sept. 2007, 5 pages. Y.H. Kho, "Killing the Birdies: Solving Tonal Interferences for Radio Receivers", a proprietary Technical Report for Tait Communications and NZi3: Wireless Research Centre, University of Canterbury, New Zealand, 20 Jan. 2009. Y.H. Kho, “Reduced Complexity Channel Estimation and Tracking Based on Polynomial Prediction with Application to Equalization", 3rd Prize , IEEE Region 10 (Asia Pacific) Student Paper Contest, Postgraduate Section, July 2007. Y.H. Kho, "3G Wireless Multimedia: The Road Ahead", 1st Prize, IET/IEE Global Write Around The World (WATW) Competition, July 2001.